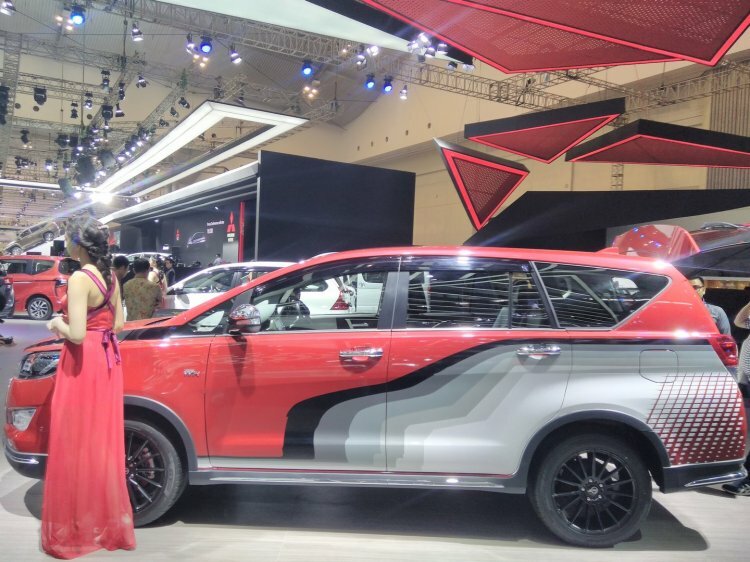 Another attraction at the Toyota pavilion at the ongoing Gaikindo Indonesia International Auto Show (GIIAS) 2017 is a Toyota Innova Venturer with body graphics. The Venturer is essentially a kitted up version of the Toyota Innova (Toyota Kijang Innova in Indonesia). A nearly identical version is sold in India as the Toyota Innova Touring Sport. The decals on the side form silhouettes of every generation of the Toyota Kijang. The Toyota Venturer present at the GIIAS sports fancy body graphics on the side and the hood. The pattern may appear random at first glance, but upon closer observation, it reveals the silhouettes of every generation of the Toyota Kijang (the first generation Innova was a replacement for the fourth generation Kijang). Starting from 1976's first generation model in white, the colour gradient darkens with every subsequent generation with the final black silhouette that of the Innova on display. The decals also highlight how the car has grown in size with every generation. Aside from paying homage to the previous generations of the Kijang, the Toyota Innova Venturer features 15-spoke black alloy wheels. The rest of the car is visually identical to the Venturer sold in the Indonesian market. It is powered by the 2.0 L 1TR-FE VVT-i petrol and 2.4 L 2DG FTV diesel engines with automatic and manual transmission options. Aside from the decals and new 15-spoke rims, the car is identical to the standard Wine Red Toyota Venturer (Toyota Innova Touring Sport). Prices of the Toyota Venturer start at IDR. 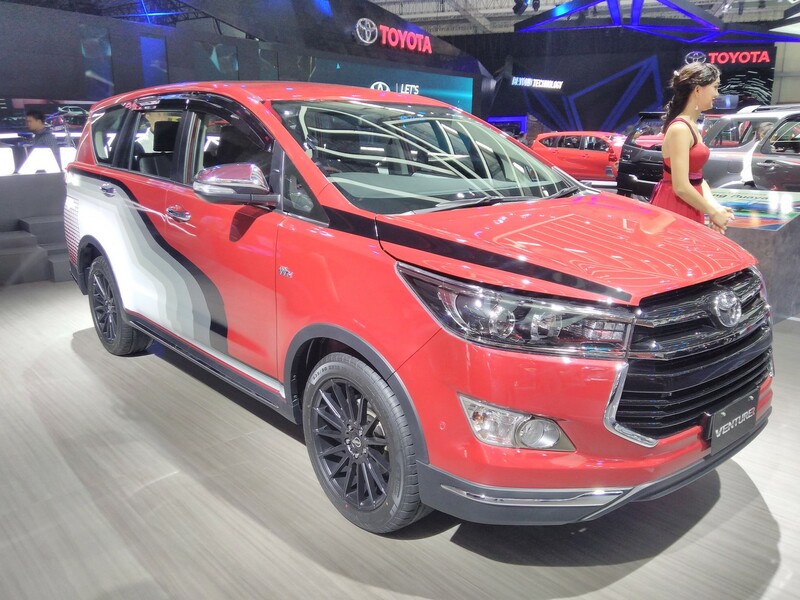 389,100,000 (INR 1,868,186) and in India, where it is sold as the Toyota Innova Touring Sport, prices range from INR 1,667,700 to INR 2,077,600 ex-showroom Delhi.